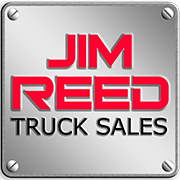 Jim Reed’s Truck Sales is one of the nation’s oldest Mitsubishi Fuso truck dealerships. We’ve got an experienced parts department staff that will get the order right the first time and ship it straight to you with no hassle! Call our parts professionals today for the best deals on Mitsubishi Fuso & UD Truck parts, Stellar hooklift parts, ASV skid steer and compact tractor parts, and Ottawa Terminal Tractor parts. They have over 40 combined years in truck parts and they’ll get you what you need fast and at the right price! Call our parts department today at 914-737-3990 ext. 5 or fill out the form below and someone will get back to you shortly.